Interested in Books by Dar? For WHOLESALE inquiries email dar(at)darsworld(dot)com. Click on the title of each book to learn more. Animalization is a fun and funny collection of alliterations, rhymes and collage illustrations that all began in the writing and art workshops of Dar Hosta, in many different classrooms throughout the country. A colorful, rhyming celebration of all things canine! Dozens of dogs in all shapes, colors and sizes are doing doggie things in this fun and frisky picture book dedicated to our favorite, furry friends... DOGS! Includes a fun "Lesson Page" for a dynamic creative writing session. A uniquely shaped book that is a celebration of trees through gentle verse and colorful illustrations of various trees species in all seasons. Includes an "Info Page" all about trees for easy integration in a science classroom. Teachers’ Choice Award, National Arbor Day Foundation’s Media Award, American Horticultural Society’s “Growing Good Kids” Book Award. 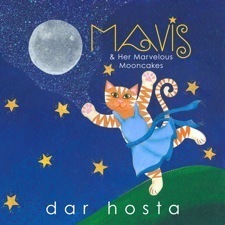 A sweet, contemporary folktale that brings our waxing and waning Moon into the sky each night through the life and efforts of a friendly, cake-baking cat. Includes an "Info Page" on Moon phases and facts for a tie-in to lunar units in the classroom. 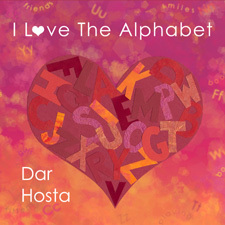 A fun, rhyming and alliterative alphabet book with colorful illustrations of silly animal antics. Teachers’ Choice Award, Benjamin Franklin Award, Children’s Book of the Month Selection. A gentle narrative dedicated to nocturnal animals and the magic of the night. Teachers’ Choice Award, Borders Original Voices Selection, Children’s Book of the Month Selection.